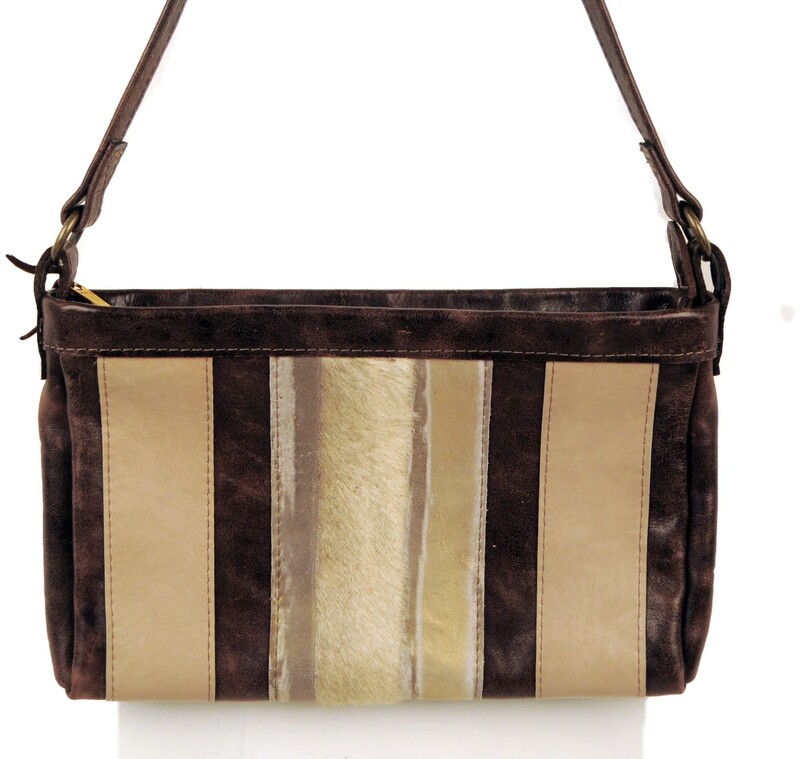 Beige hair on cow with gold and silver sides over dark brown leather cross body. Zipper and lined with fabric. Credit card slots and cell phone pocket on the inside. 50" long handle.